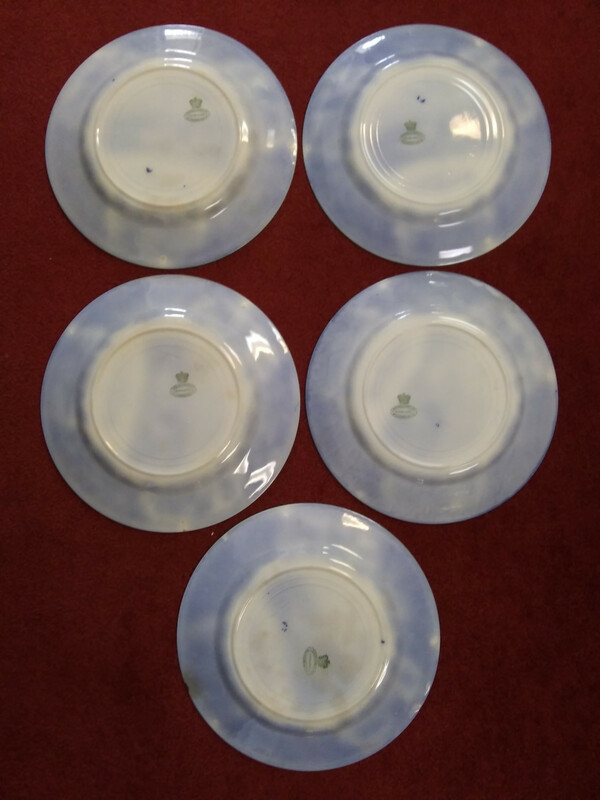 Set of 5 gorgeous antique plates by Wedgwood, Flow Blue. 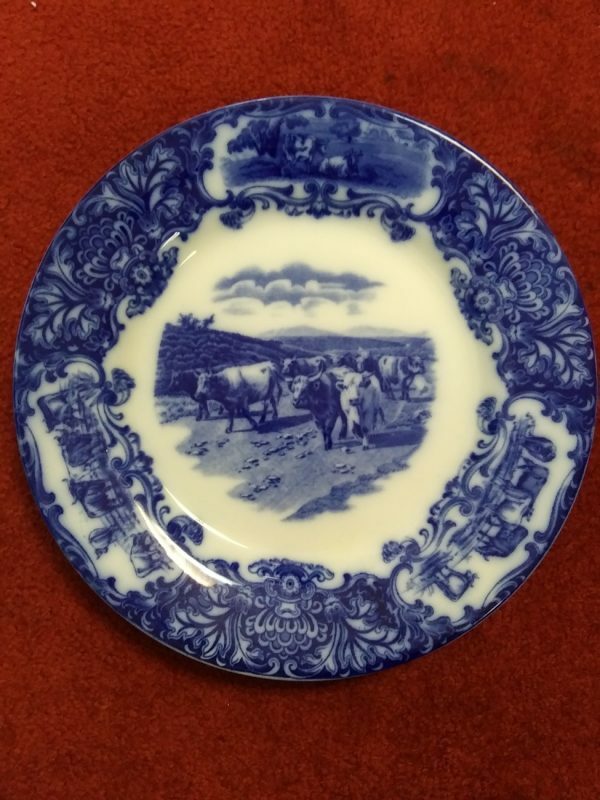 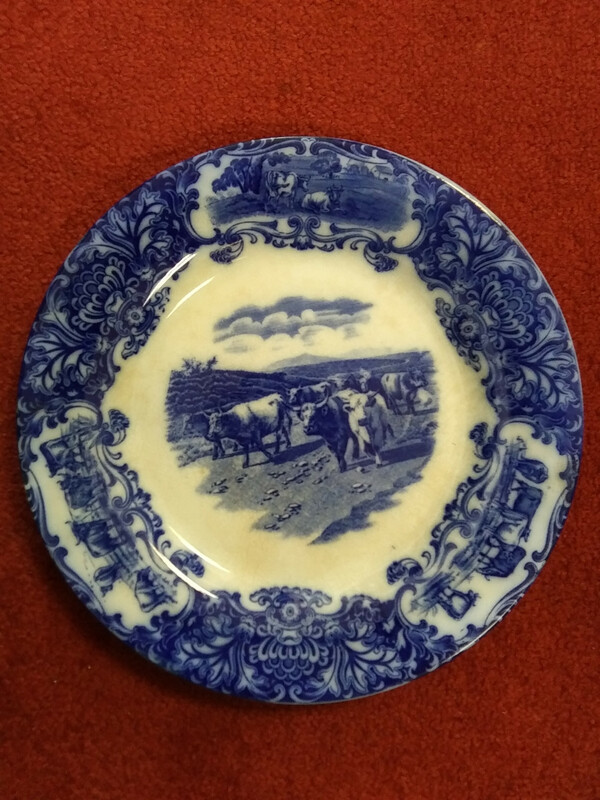 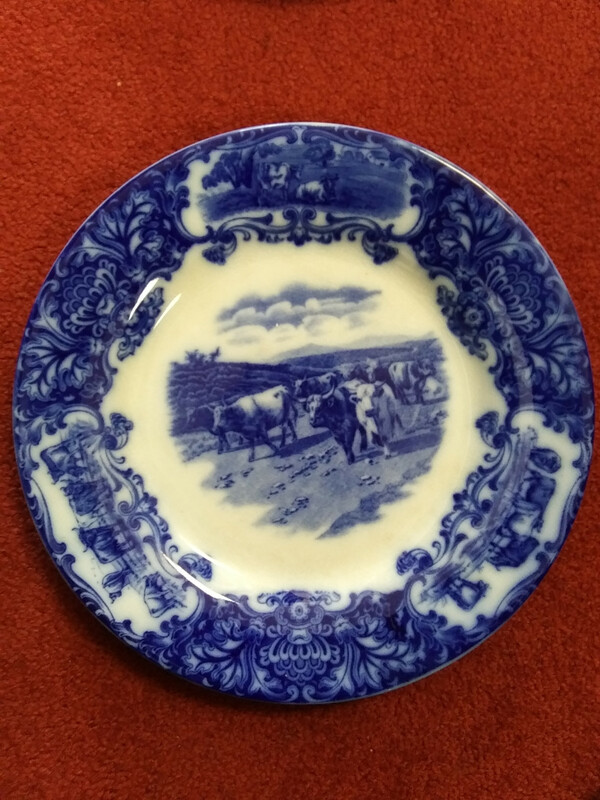 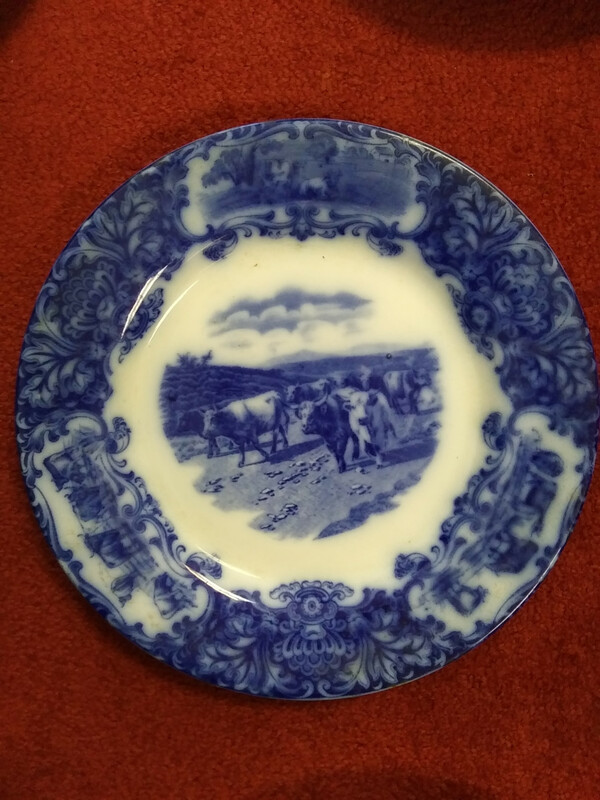 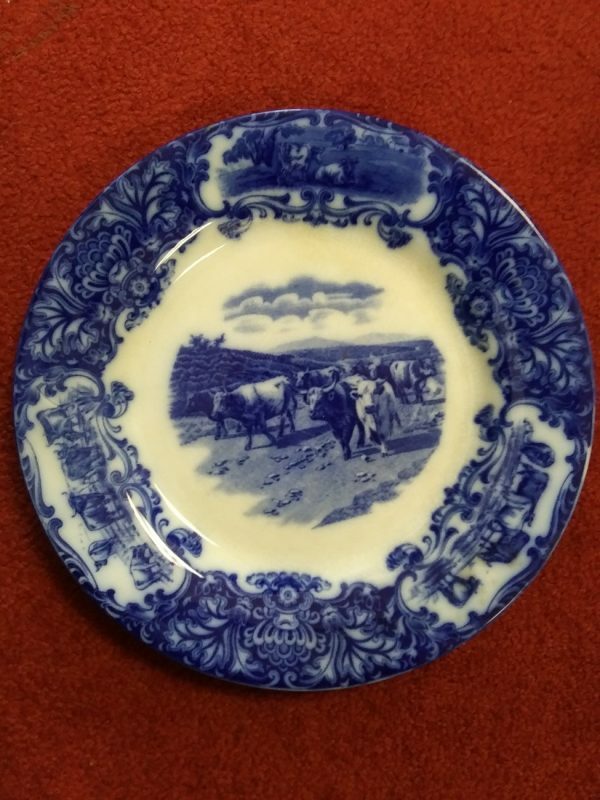 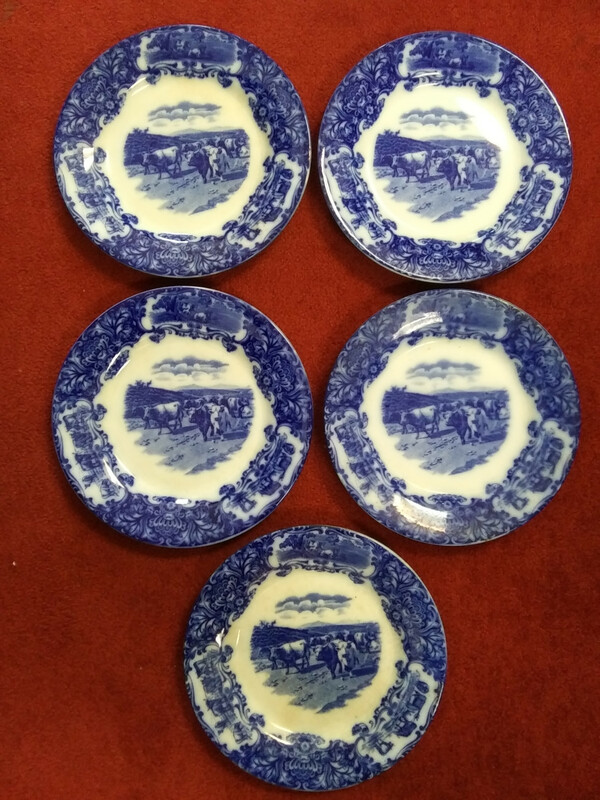 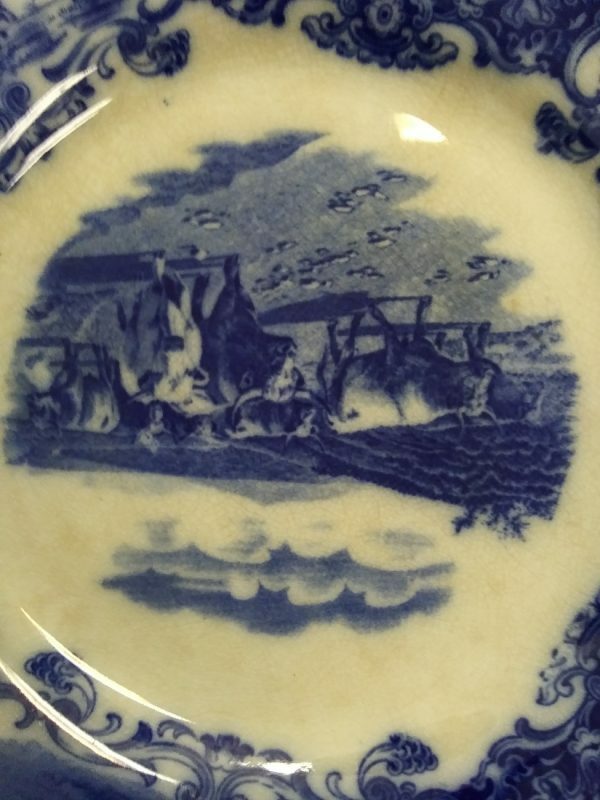 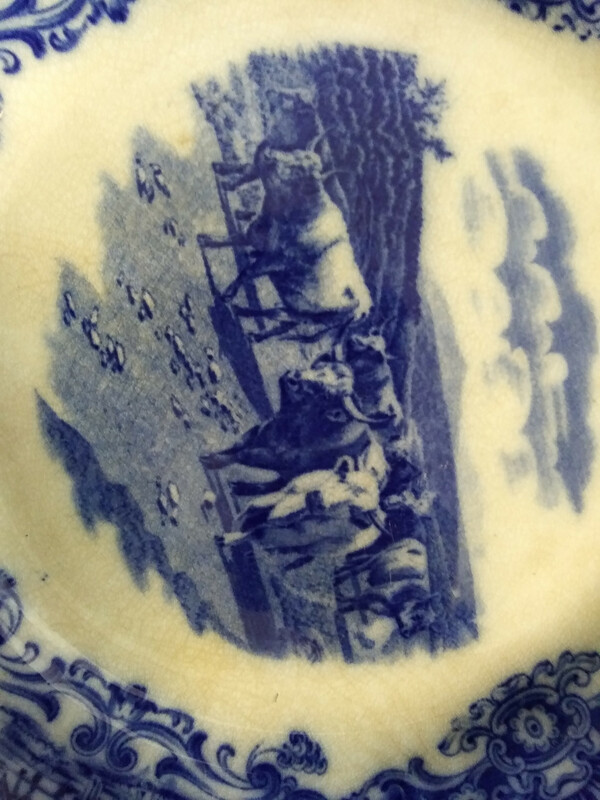 Cow pasture scene in center, Flourish around edges with cows, Blue and white, Lovely old platter, “Imperial Porcelain England” stamped on back, Some discoloration, Minors scratches, crazing, and wear due to age. 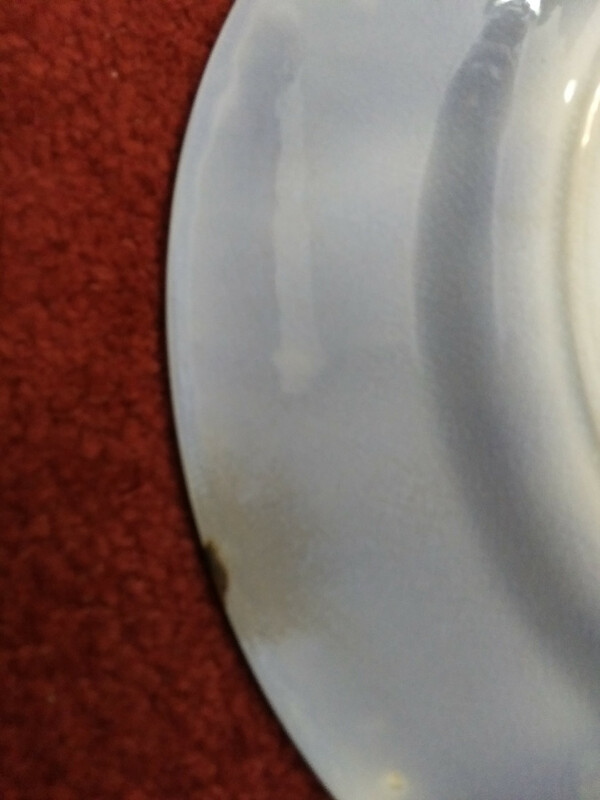 Please see all photos for condition. 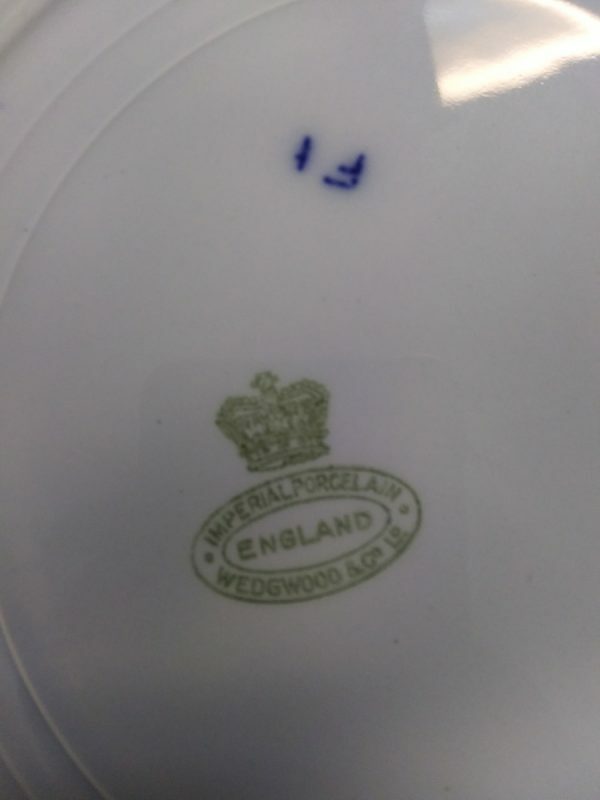 Measures: 10″ Diameter. 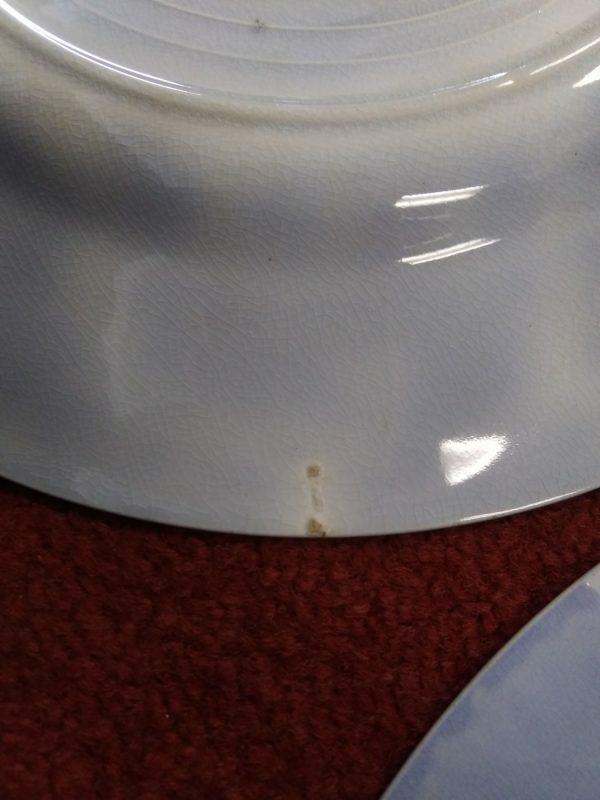 If you are not picking up at our Oakwood, Ga. store, this will ship for $19.95 flat to 48 states. 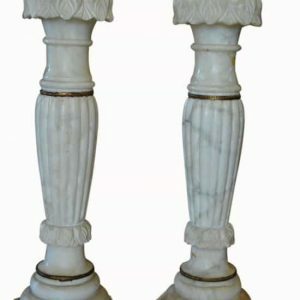 Additional charges will apply for shipping outside the 48 states. 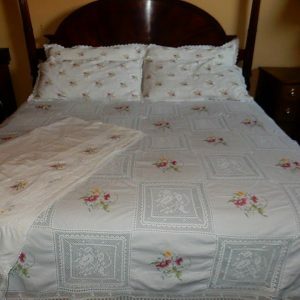 If you are not picking up at our Oakwood, Ga. store, this will ship for $19.95 flat to 48 states. 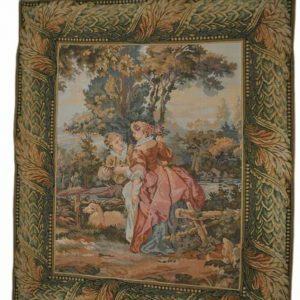 Additional charges will apply for shipping outside the 48 states.